Under the creative direction of Dana Lynn, her team of highly skilled photographers and videographers document over 100 fairy tale weddings per year. Each member of the creative team brings a unique flare and style showcased throughout their online portfolio. Based on past client reviews, this established Miami wedding photography studio takes customer service and timely image processing very seriously. All inclusive packages with additional services like photobooth, customized album creation, and framed portraits always add to the fun, romantic and beautiful narratives of the day. With a photojournalistic style, Ray Santana has been capturing Miami weddings for over fifteen years. As an International Fine Art Wedding Photographer, Ray has also had the pleasure of bringing his talent to the runways of New York, Florence, and Milan. His photographs range from “true moments” casual shots of the day to formally posed portraits of the wedding party. Being selected to feature his work in Grace Ormonde Wedding Style Magazine on a consistent basis has made Ray Santana a top photographer in Florida and destination weddings worldwide. Lenny & Melissa are international award-winning wedding photographers who stress the importance of having a strong connection with their couples. By only accepting a limited number of weddings per year they are able to provide each couple with a one-of-a-kind photography experience, attention to detail, and care that a wedding deserves. With over 20 years experience, multiple international awards and recognition, who will you trust? 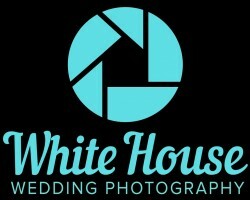 White House Wedding Photography specializes in wedding photography and videography. The company is located in Miami and provides services to the keys, Homestead, Palmetto Bay, Coral Gables, Miami Beach, Fort Lauderdale, Westin, Plantation, Boca Raton, West Palm Beach, and all of South Florida. They provide a series of packages with unlimited photo coverage as well as a build your own package option. White House Photo is the only company that offers a 100% Guarantee Try Before You Hire option. Jan Freire is known fashion and celebrity photographer from Europe who fell in love with wedding photography. Now he is based in Miami and often traveling. As he say, My approach to photographing weddings is creating beautiful glamorous portraits with an fashion touch balanced with styled details as well as with timeless photojournalistic moments. This recipe tells the wedding story in an authentic and artful way that lays out beautifully for publication and wedding albums. Based in Miami, New York City, and Paris, Adagion Studio has been quoted and seen on CNN, TIME, People, E!, abc, NBC, ESPN, Style Me Pretty, Tatler, Strictly Weddings, and countless other authoritative publications. We were named a Top 10 photographer in America and offer services for luxury weddings, couple's photoshoots, and boudoir. We also use the finest albums available by Queensberry. H Photography has been in the wedding photography business for years. 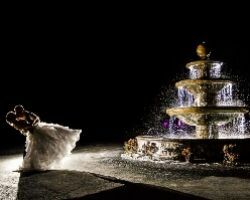 Their teams’ unmatched experience shines through beautiful and evocative images of the weddings they shot. Photographs range from candid casual shots of the day to formally posed portraits of the wedding party. Capturing the tender moments of romance that can only happen on the day of a wedding has made H Photography the top choice for capturing wedding in Florida. Besides winning a number of top photography awards over the years, providing great customer service has allowed H Photography to also win the respect of both their clients and peers. Tony Gajate is a photojournalistic wedding photographer who is based in south Florida with his talented wife and two very smothered in love dogs “I bring a few things with me to every wedding - imagination, inspiration and perspiration.” Over his career Tony has been recognized by Grace Ormonde Wedding Style magazine as one of top ten in his field and the editors of Florida Bride once named him a top photographer in Florida and more recently he was named the best by the Miami Beach Chamber of commerce two years in a row.